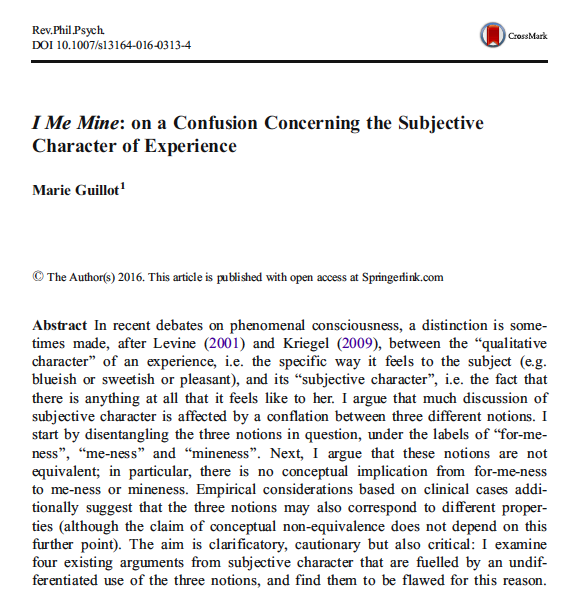 The Sense of Mineness, co-edited with Manuel García-Carpintero for Oxford University Press (in preparation). 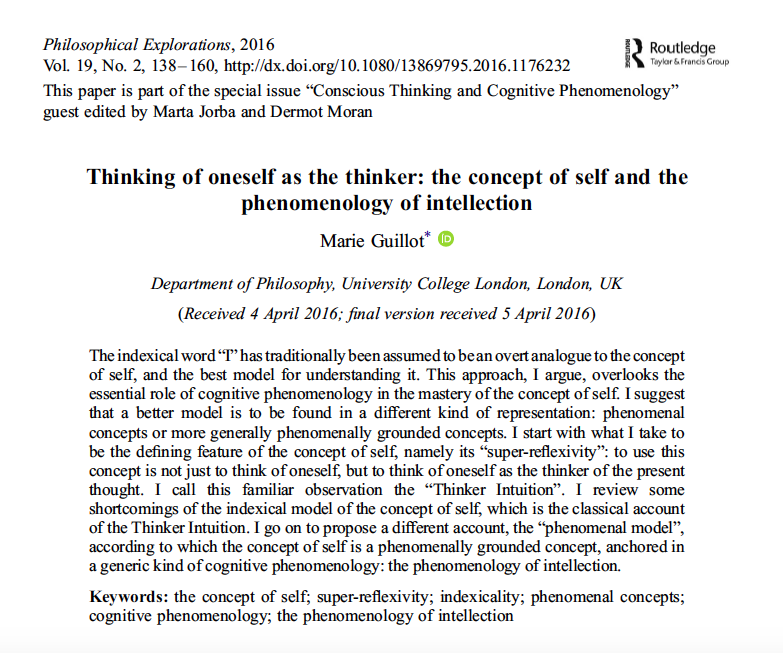 This volume of new essays will focus on the experience of ‘mineness’ or ‘me-ness’, exploring three broad questions: “Does it exist?” (the existence question); “What is it?” (the essence question); and “What is it for?” (the explanatory question). The phenomenon will be studied across different domains, including perception, bodily self-awareness, inner speech, action, emotion, and memory.